After four weeks hard at work on the restoration of the Boyer Barn, volunteers for the 2010 Preservation Field School will come together on Friday for a final work day and finish with a barbecue celebration of a job well done. I spoke with two members of the Coupeville Lions Club who worked on the project this year. 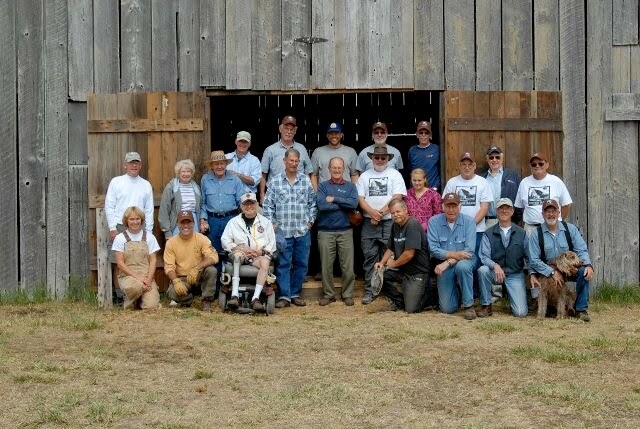 Here is what they had to say about their experience volunteering at the Boyer Barn. "As a lions volunteer, I think it’s a great opportunity for a service org. to be involved in the preservation of the history of the area, of the island. It brings cohesiveness in the community—togetherness in the pride for what we have here. As personal experience, I love to make things, and build things. It was new and different. There was a lot to learn. It was a great experience, and I look forward to working on any ongoing projects that will be out there. I really enjoy it just personally. Even if I wasn’t a lion, I would still do it. It is an opportunity to see what we have today and what we do in relation to what those who originally built these structures. It just amazes me that we were able to do what they did do. Jason [NPS preservationist and project leader] is quite good. He’s a very knowledgeable person and he works well with people. When you take a bunch of old guys who have all been bosses or in a position of direction, to handle a group of people like that is a very difficult situation. But he did excellent…the way he let people work and do what had to be done, and acceptance of ideas. I think he was an outstanding individual. I look forward to next year’s project. it was a good crew, a good group of people. I could not describe a better experience." "I love those kinds of projects. I like working with wood and I like the camaraderie. I like to see those little barns get preserved. We [Lions] do a lot of projects like that, building wheelchair ramps and such. It’s just something we enjoy doing. I’m retired so it’s better than sitting around getting gray." I also had the opportunity to work a few shifts on the project. 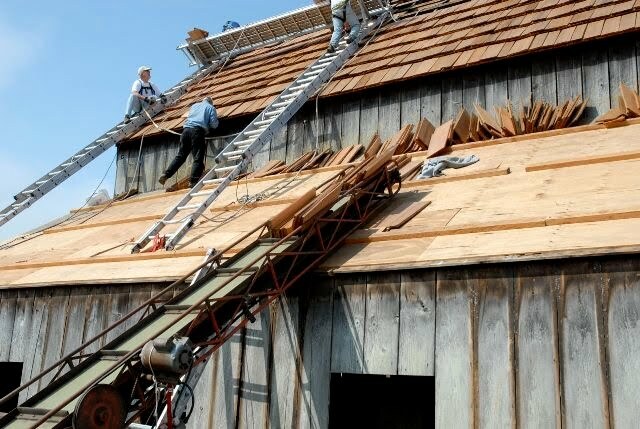 It was a lot of fun to learn what goes into the construction of a barn like that, or rather, what originally went into it 150 years ago. My favorite part was getting to work alongside the other volunteers and see the enthusiasm and dedication of everyone who came day after day to work together and make the project a success. 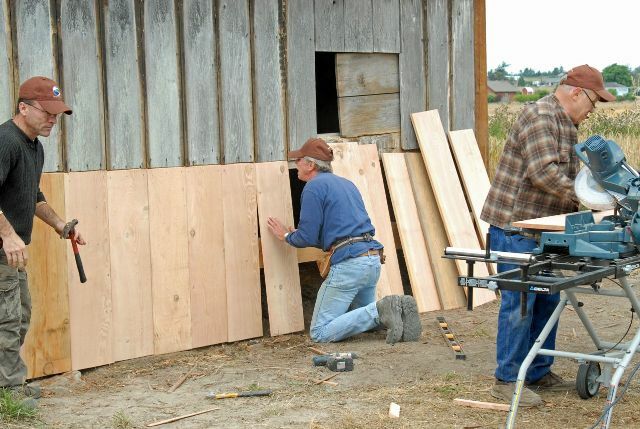 My second-favorite part was learning to split shakes and getting to smell the sweet aroma of Western red cedar with each new shake that I peeled off the block.